Communication is the key to building relationships and trust. By listening to clients, they truly understand their vision and preferences. In the same way, regular communication of progress is the best way to ensure client expectations are exceeded. With their hands on philosophy, Dan and Kevin make communications a priority with clients, employees, subcontractors and suppliers. 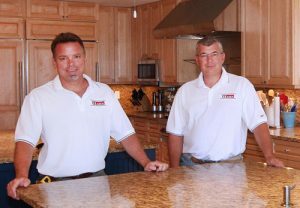 Dan and Kevin have lived and worked on Sanibel for many years. They believe in giving back to the community and are very involved on the islands, giving generously of their time, talents and money to support a variety of worthy charitable organizations.